In recent years, scholars have taken a closer look at the women of the ancient world and found poets, landowners, athletes, and more--not just wives. However, for most women, their household was their domain and their husband their master. Readers learn about both perspectives in an engaging format of fun facts, as well as about famous women in power, important goddesses, and many other interesting details of the time period. 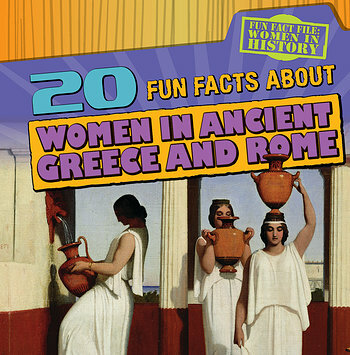 Historical images of women in ancient Greece and Rome and full-color photographs of the places they lived enhance curriculum-supporting content and graphic organizers that further explore important concepts.